Mount Kilimanjaro is one of the world’s tallest, most beautiful mountains, and its staggering heights and scenic views have attracted athletes and amateurs alike for 160 years. If you’re interested in making an unforgettable climb to the top of Kilimanjaro, you probably want to know what makes it so special. However, it’s almost impossible to put its emotional highlights into words. Let’s get you started by sticking to the hard numbers instead. The following figures should help put Mt. 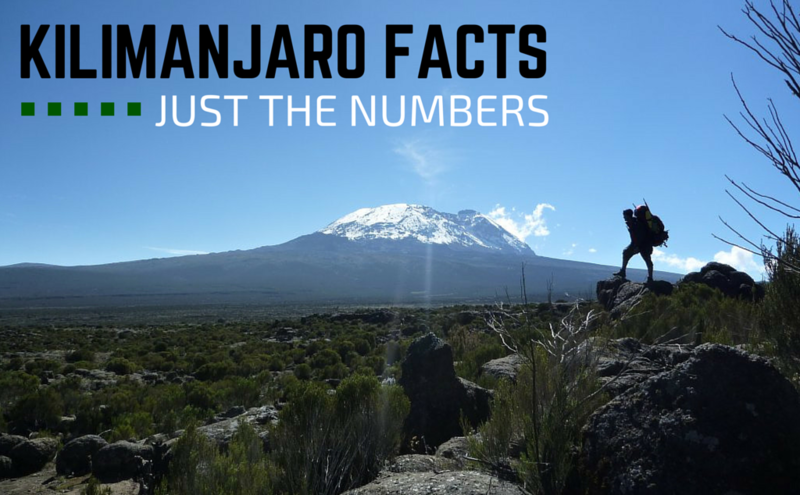 Kilimanjaro into perspective… until you experience it firsthand. Number of African mountains that are higher than Mt. Kilimanjaro. Throughout the entire continent, nothing else stands as tall as Mt. Kilimanjaro. Number of volcanic cones that make up Mt. Kilimanjaro, which is technically a stratovolcano. Of the three, only Kibo is dormant. The other two, Shira and Mawenzi, are extinct and will never erupt again. 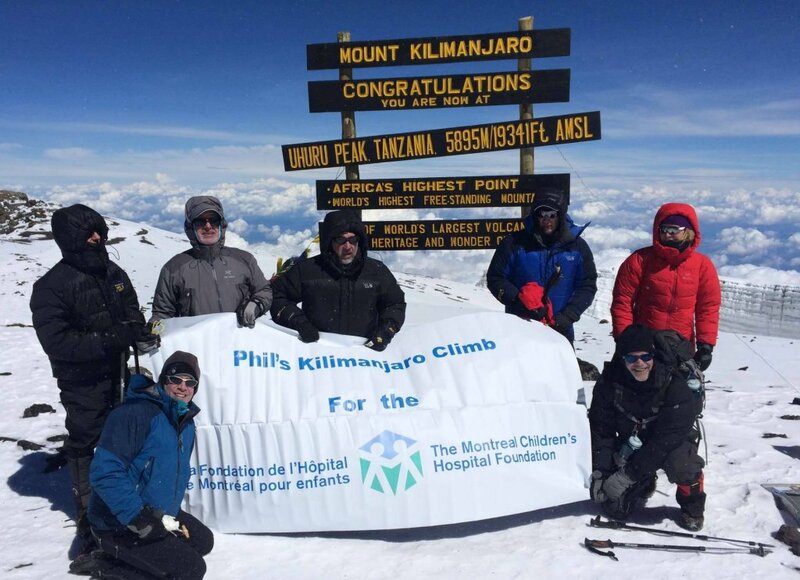 Number of Canadian hockey enthusiasts who climbed Kilimanjaro in August 2013 and played the world’s highest hockey game – 18,810 ft. at Crater Camp. Number of minutes that it took Karl Egloff to run to the top and back, setting a new world record for the fastest-ever climb. On August 13, 2014, Egloff ran nonstop for six hours and 56 minutes, breaking a record that Kilian Jornet had set just four years earlier. Egloff was only 18 minutes and 24 seconds faster than Jornet, and he accomplished this in part by taking off his coat during the descent. The year Mt. Kilimanjaro was climbed for the first time, at least in documented history. Hans Meyer, Yoanas Kinyala Lauwo and Ludwig Purtscheller teamed up to reach the summit on October 5, 1889. Mt. Kilimanjaro’s official altitude, in feet. It’s not just Africa’s highest mountain; it’s also the highest freestanding mountain on the planet. Estimated number of people who make an attempt to climb Mt. Kilimanjaro each year. On average, only about 40 percent of these treks are successful, but if you take your time on a longer route and choose a skilled guiding outfit, the success rate can increase dramatically. Tusker Trail’s success rate is 98 percent. Estimated number of revolutions that Chris Waddell’s wheels made on the way to the top in 2011. Waddell, a Paralympic athlete who’s paralyzed from the waist down, took just six days to reach the summit on his custom-built hand-cycle. Years since Mt. Kilimanjaro first began to form.